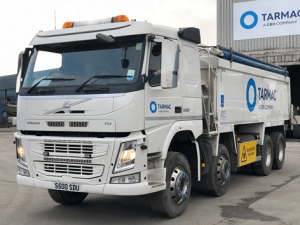 STS Haulage – Are Going for FORS Gold! STS Haulage has been established for 6 years sub-contracting within tarmac in London and currently have 6 32,000kg tipper lorries. We became aware of the fleet operator recognition scheme when we became contracted to tarmac as they required us to have a bronze FORS accreditation. We discovered how important FORS is in supporting standards of quality and compliance as well as the other benefits such as keeping a high level of work standard for our colleges plus increasing the business in different areas such as fuel maintenance and driver training. We passed our initial bronze audit first time round which encouraged us to aim for FORS silver and maintain the standards which we had achieved with FORS bronze. The process which we went through to achieve our initial bronze helped us improve interacting and improving our training with our drivers. All our vehicles are fitted with 360-degree cameras, near side proximity sensors, audible left turn alarms and side cameras. They also have Class IV, V, V1 Mirrors, flashing beacons on the cab of all vehicles, cyclist safety stickers to both the rear and sides of our vehicles. We discovered the e-learning materials available on the FORS website to be very useful in educating our drivers more and to help remind them of other risks and hazards they might have taken lightly in the past. The Safe Urban Driver training and awareness of all vulnerable road users has been especially helpful to all our drivers as it gives our drivers a different perspective. We ensure that all our drivers have completed safe urban driver courses and the e-learning modules as we believe you can never have enough knowledge. We have put in a ongoing plan to make sure that all driver recruitment is done correctly. Here at STS Haulage we recruit the right people and identify any internal development opportunities that may be needed for any stuff in the company to help improve knowledge or ability on the road. Using the available software tarmac measure noise levels across the business and have developed a risk assessment to identify individual and collective risks which could have a potential impact on our business. The future of the company is to ensure we that our safety record continues to be the highest standard, through driver training and fitment of vehicle safety equipment. We also want to expand as a business and get more vehicles and safe drivers for the future. 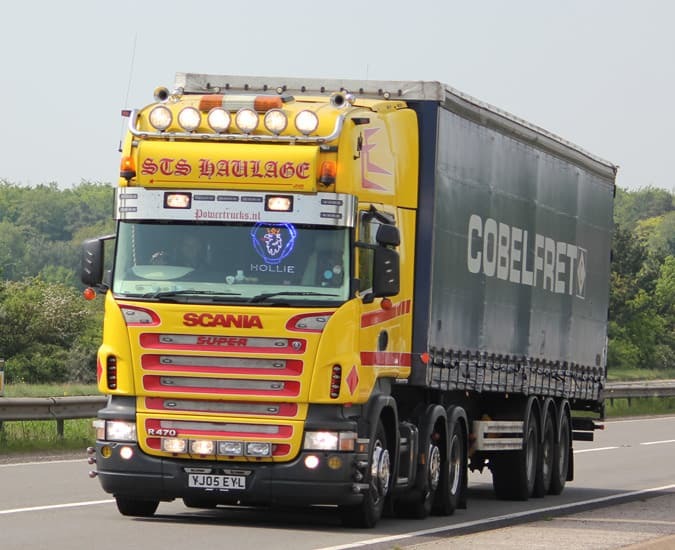 All our drivers must keep us up to date with any medical conditions which could restrict their ability to drive as health and safety is key in this industry. All our drivers are required to complete a health questionnaire at induction and every 12 months after which also includes an eye sight test. In conclusion FORS has helped us be more fuel efficient and road safe. They have also given us the ability to quickly, simply and effectively implement various strategies to ensure the company and fleet operates as safely as is possible. Thanks to FORS we now have access to tools such as e-learning and any updates in the industry including toolbox talks. Being gold accredited would mean we are achieving the best possible practice for us. But Going forward we also want to continue to reduce harmful emissions and the impact we as a company have on the environment. We intend to keep these high standards up for years to come and keep maintaining our company for the future.